When one of the first jet planes was being tested in America, one of the pilots Jack Woolams wore a gorilla mask, a hat, and smoked a cigar. Other pilots in the area reported a strange plane moving without a propeller with a monkey at the controls. A Boeing 747 is made up of 6 million parts. Imagine if it was lego! In 2014, a pilot ordered 30 pizzas for his passengers, after finding out they would be delayed 2 hours due to weather. The pizzas were delivered within 30 minutes by Domino’s and were cleared by security and sent directly to the plane in an official airport vehicle. Only 5% of the population of the world have ever been on a plane. Airplanes are lightning proof. Planes are regularly hit by lightning but, because they are not touching the ground and so aren’t earthed, they rarely suffer any damage. Concorde remains the fasted commercial passenger jet ever made. 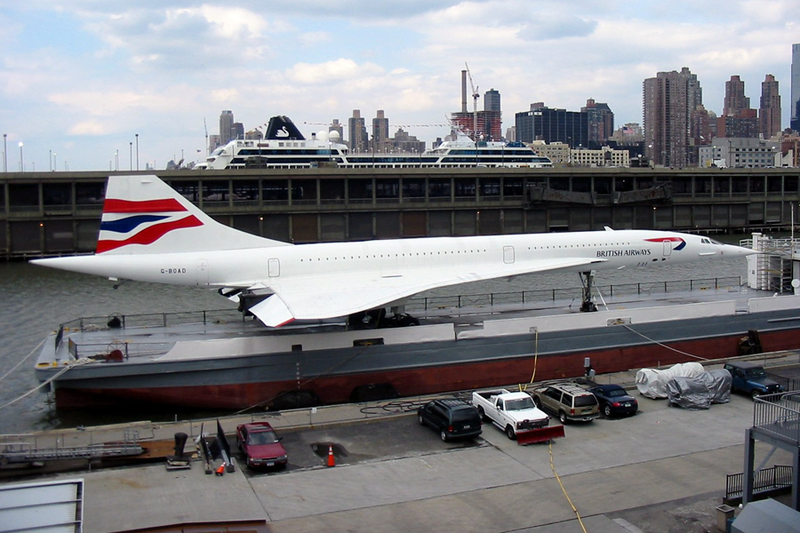 It still holds the record of the fastest transatlantic flight from London to New York. It flew at 1,354 miles an hour and made the trip in just 2 hours, 52 minutes and 59 seconds. All international pilots are required to speak English. Dutch airline KLM is the world’s oldest – and it turns 100 years old this year! In 1980, American Airlines were on a cost cutting drive. They discovered that salads served in-flight contained one olive. By removing the single olive from each salad, they saved £30,000 a year. Dead chickens are fired into plane windshields to test them for bird strikes. Most planes are more fuel efficient than your car. A Boeing 747 burns about 5 gallons of fuel per mile for carrying 500 passengers. So that’s 500 gallons of fuel for 500 passengers for 100 miles – that’s 100 miles per gallon per passenger. You are 7% on the way to space when you fly in a commercial airplane.